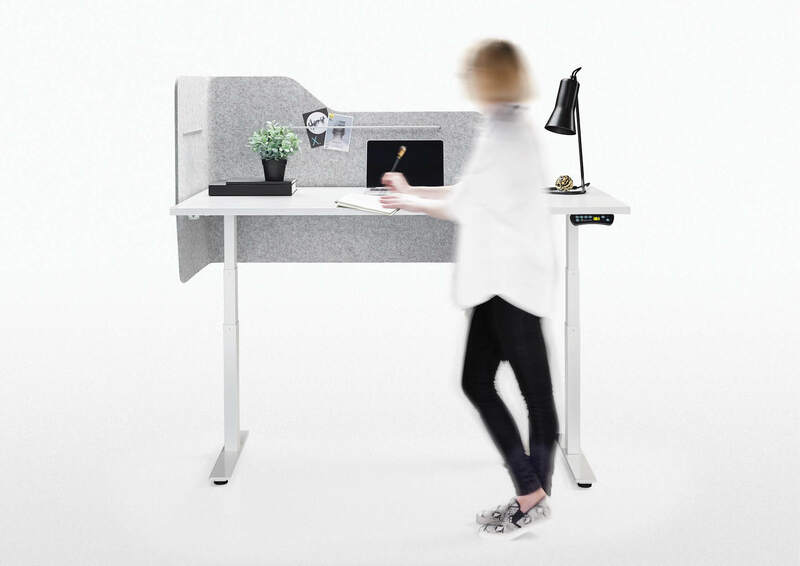 Mobility Desk is part of the new wave of mobile working environments providing flexibility and versatility in the contemporary workplace. 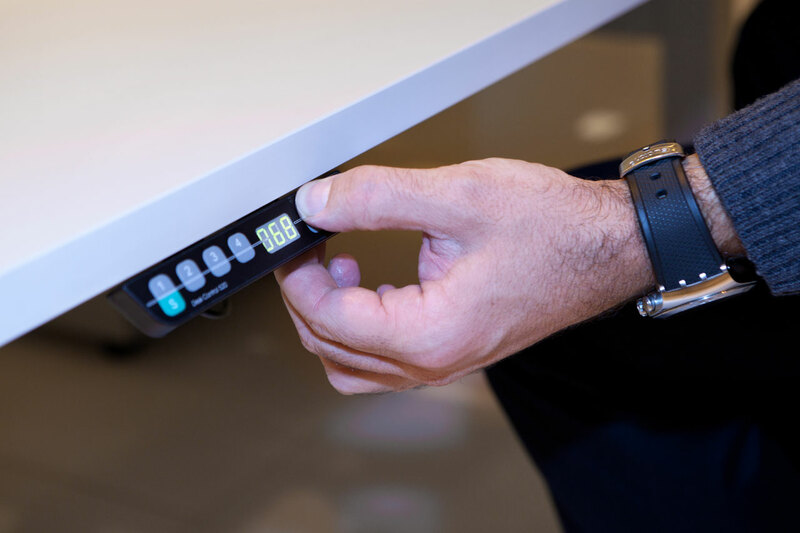 The mobility desk adjustable height provides the option of models with control either via a simple 'up/down' system or a programmable digital control. 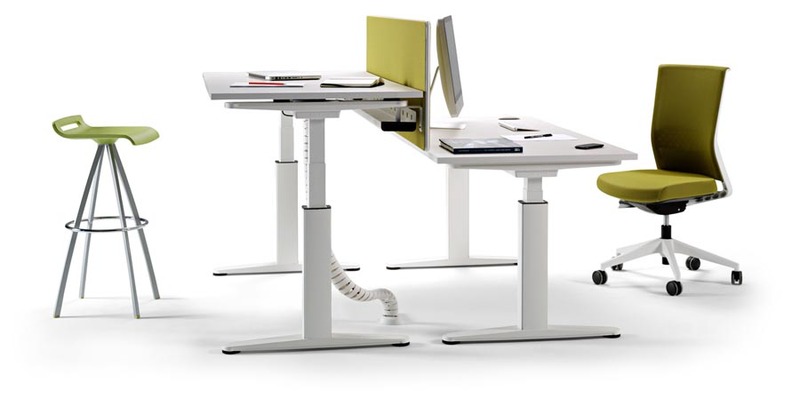 With an adjustable range of 650mm to 1290mm the sit to stand desk is really able to accommodate everyone in the office. If arranged in clusters they can be separated by new sound absorbing dividers made from polyurethane foams or lates which are capable of reducing environmental noise. There is a variety of forms of worktops in shapes and sizes to allow for a multitude of configurations ranging from conventional workstation set to a more creative and complex concept. 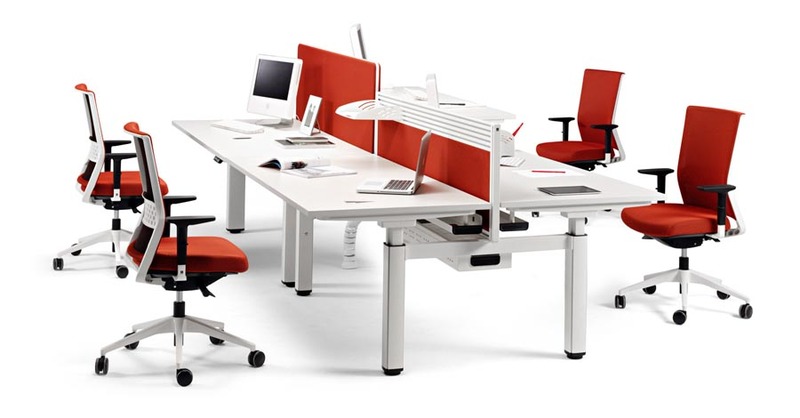 Mobility comes in a wide range of models - single, double and fixed desks and seated height adjustable desks of 650mm to 850mm. 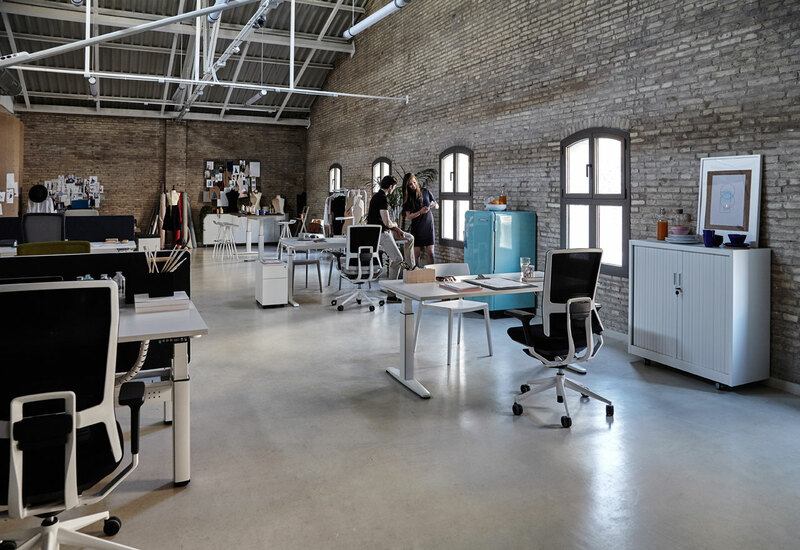 The Mobility desks also come with with full height adjustment range of 650mm to 1290mm which is an electric model that comes with a simple 2 button up down control or the more customizable programmable version of 4 desired height options. 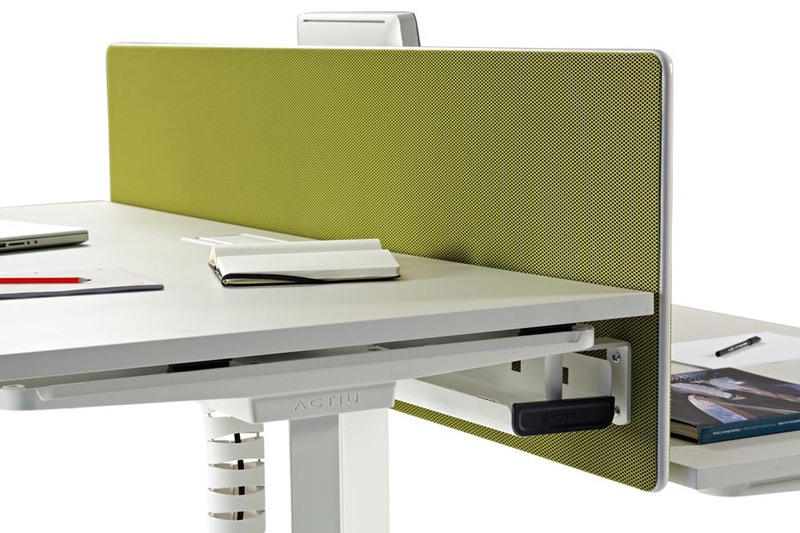 Each desk consists of uppler rails, legs, electronic motor system (if electrical height adjustable) and upper top. 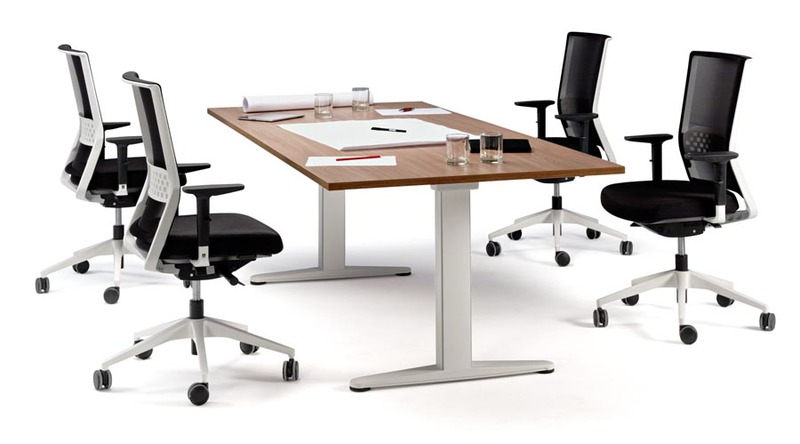 Single desks are available in fixed, mechanically adjusted and electronically adjustable. The double desks come mechanically adjusted. All the electronic components are fixed directly to the structure creating one unique piece. 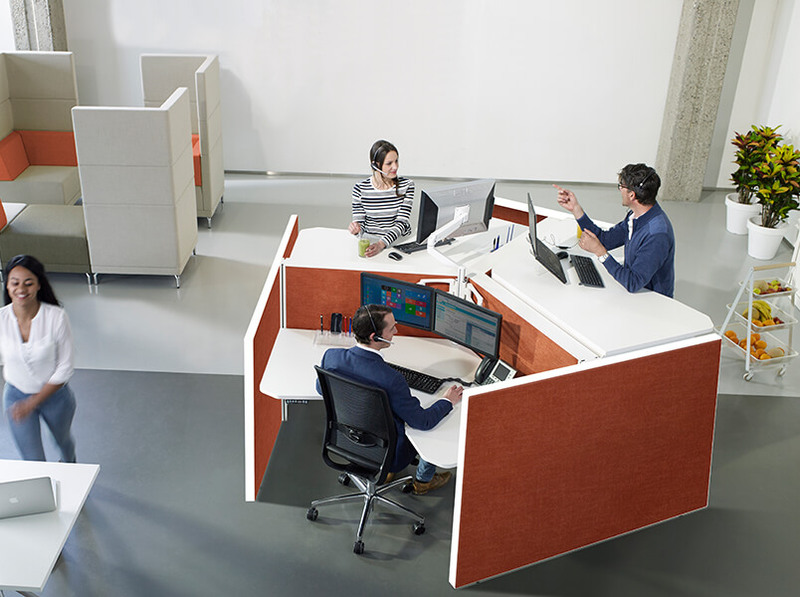 Double desks come with sliding tops to allow for ease of cable access.